Genesis 1 and Genesis 2 do not contradict each other. Yahweh didn’t put the chapter and verse numbers in the original. They were added by the Roman Catholics. On the third day, Elohim made the plants. 11And Elohim said, Let the earth bring forth grass, the herb yielding seed, and the fruit tree yielding fruit after his kind, whose seed is in itself, upon the earth: and it was so. 12And the earth brought forth grass, and herb yielding seed after his kind, and the tree yielding fruit, whose seed was in itself, after his kind: and Elohim saw that it was good. On the fifth day, Elohim made the flying creatures and the swimming creatures. 20And Elohim said, Let the waters bring forth abundantly the moving creature that hath life, and fowl that may fly above the earth in the open firmament of heaven. 21And Elohim created great whales, and every living creature that moveth, which the waters brought forth abundantly, after their kind, and every winged fowl after his kind: and Elohim saw that it was good. 22And Elohim blessed them, saying, Be fruitful, and multiply, and fill the waters in the seas, and let fowl multiply in the earth. On the sixth day, Elohim made the land animals and man. 24And Elohim said, Let the earth bring forth the living creature after his kind, cattle, and creeping thing, and beast of the earth after his kind: and it was so. 25And Elohim made the beast of the earth after his kind, and cattle after their kind, and every thing that creepeth upon the earth after his kind: and Elohim saw that it was good. 26And Elohim said, Let us make man in our image, after our likeness: and let them have dominion over the fish of the sea, and over the fowl of the air, and over the cattle, and over all the earth, and over every creeping thing that creepeth upon the earth. 27So Elohim created man in his own image, in the image of Elohim created he him; male and female created he them. 28And Elohim blessed them, and Elohim said unto them, Be fruitful, and multiply, and fill the earth, and subdue it: and have dominion over the fish of the sea, and over the fowl of the air, and over every living thing that moveth upon the earth. 29And Elohim said, Behold, I have given you every herb bearing seed, which is upon the face of all the earth, and every tree, in the which is the fruit of a tree yielding seed; to you it shall be for meat. 31And Elohim saw every thing that he had made, and, behold, it was very good. And the evening and the morning were the sixth day. 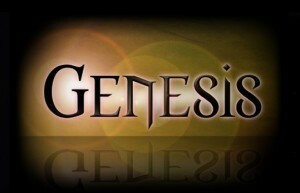 After Elohim made man, Genesis 2 gives us more information of what happened next. 1)Elohim makes a garden in Eden. 2)Elohim puts the man, he had already formed earlier, in the garden. 3)Elohim makes some plants for the garden. This is in addition to the plants he already made on the third day for the whole world in general. 4)Elohim makes some land animals for the garden. This is in addition to the land animals he already made earlier for the whole world in general. 5)Elohim makes some flying animals for the garden. This is in addition to the flying animals he already made earlier on the fifth day for the whole world in general. Elohim made all these things for man to witness so he would know who the Creator is. 8And Yahweh Elohim planted a garden eastward in Eden; and there he put the man whom he had formed. 9And out of the ground made Yahweh Elohim to grow every tree that is pleasant to the sight, and good for food; the tree of life also in the midst of the garden, and the tree of knowledge of good and evil. 15And Yahweh Elohim took the man, and put him into the garden of Eden to dress it and to keep it. 18And Yahweh Elohim said, It is not good that the man should be alone; I will make him an help meet for him. 19And out of the ground Yahweh Elohim formed every beast of the field, and every fowl of the air; and brought them unto Adam to see what he would call them: and whatsoever Adam called every living creature, that was the name thereof. The Brit Chadasha (New Testament) does not say that Yahshua KEPT the feast of Hanukkah. Lets look at the KJV to see where all the confusion is. John 10 22And it was at Jerusalem the feast of the dedication, and it was winter. 23And Jesus walked in the temple in Solomon’s porch. Also, do some research and you will find that the words “the feast of” do not actually appear in the Greek text from which this verse is translated. Here is an actual word for word translation of the Greek text: John 10:22-23 And occurred the dedication in Jerusalem and it was winter. And walked Yahshua in the temple in the porch of Solomon. People assume that this dedication is the Feast of Hanukkah, but as the text indicates this was not a feast. The Tanakh lists several dedications, none of which are the Feast of Hanukkah. See Numbers 7:84-88, 2 Chronicles 7:9, Ezra 6:16-17 and Nehemiah 12:27. 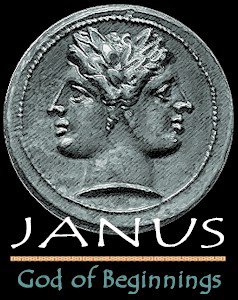 With these 2 clues we can now narrow this DEDICATION down to the one referred to in Ezra Chapter 6 when the Second Temple was dedicated: Ezra 6 15And this house was finished on the third day of the month Adar (WINTER), which was in the sixth year of the reign of Darius the king. 16And the children of Israel, the priests, and the Levites, and the rest of the children of the captivity, kept the DEDICATION of this house of God with joy. 17And offered at the dedication of this house of God an hundred bullocks, two hundred rams, four hundred lambs; and for a sin offering for all Israel, twelve he goats, according to the number of the tribes of Israel. 18And they set the priests in their divisions, and the Levites in their courses, for the service of God, which is at Jerusalem; as it is written in the book of Moses. 19And the children of the captivity kept the PASSOVER upon the fourteenth day of the first month. 20For the priests and the Levites were purified together, all of them were pure, and killed the passover for all the children of the captivity, and for their brethren the priests, and for themselves. 21And the children of Israel, which were come again out of captivity, and all such as had separated themselves unto them from the filthiness of the heathen of the land, to seek the LORD God of Israel, did eat, 22And kept the feast of unleavened bread seven days with joy: for the LORD had made them joyful, and turned the heart of the king of Assyria unto them, to strengthen their hands in the work of the house of God, the God of Israel. QUESTION: What festival is known as the feast of lights, also known as the feast of dedication, lasts 8 days, originally celebrated on Kislev 25, time of gift giving, time of playing games, time for eating pancakes and a goose, time for taking off from work, time for gathering with friends & family, an ancient man-made tradition, time for lighting candles, time for gambling, time for drinking alcoholic beverages, time for decorating homes, time for feasting, time for singing carols, happens in December, time for giving alms, time for role reversing, sometimes uses a bush or a tree, and has a tradition of putting candles on the outside of the home? Brothers and sisters please hear me and wake from the deception. Chanukah: Festival of Dedication or Pagan Fire Festival? Should we Celebrate Chanukkah part two? 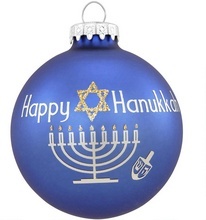 Is Hanukkah Just the Jewish Christmas? I do not endorse everything these articles suggest, but provide them for one to further their study into this important topic. The serpent is more subtle than any beast of the field and will always cause people to doubt the word of Yahweh. “Hath Elohim said,” the heavens and the earth, and all that is in them were created in 6 days? The serpent wants you to doubt Yahweh’s word. He wants you to think that Yahweh is not able to communicate to his people exactly what happened at creation and how long it actually took to finish. The serpent works through unlearned and unstable men that are willing to wrest the scriptures to their own destruction. We should beware unless we too are led away with the error of the wicked and fall from our own steadfastness. We are told to beware lest any man spoil you through philosophy and vain deceit, after the tradition of men, after the rudiments of the world, and not after Messiah. 17Ye therefore, beloved, seeing ye know these things before, beware lest ye also, being led away with the error of the wicked, fall from your own steadfastness. 8Beware lest any man spoil you through philosophy and vain deceit, after the tradition of men, after the rudiments of the world, and not after Messiah. For in six days Yahweh made the heavens and the earth, the sea and all that is in them, and rested on the seventh day; therefore Yahweh blessed the sabbath day and made it holy. 2And on the seventh day Elohim ended his work which he had made; and he rested on the seventh day from all his work which he had made. 3And Elohim blessed the seventh day, and sanctified it: because that in it he had rested from all his work which Elohim created and made. And he answered and said unto them, Have ye not read, that he which made them IN THE BEGINNING made them male and female. But from the beginning of the creation Elohim made them male and female. The scriptures plainly teach that death entered into the world from Adam‘s sin. There was no death before Adam sinned. 3But of the fruit of the tree which is in the midst of the garden, Elohim hath said, Ye shall not eat of it, neither shall ye touch it, lest ye die. 5And all the days that Adam lived were nine hundred and thirty years: and he died. Romans 5:14 Nevertheless death reigned from Adam to Moses, even over them that had not sinned after the similitude of Adam’s transgression, who is the figure of him that was to come. For since by man came death, by man came also the resurrection of the dead. For as in Adam all die, even so in Messiah shall all be made alive. Satan was created with all the other sons of Elohim on the first day before the foundations of the earth were laid. Psalm 104 lays out everything that was created on the first day in the first six verses. Ezekiel 28 speaks of the day Satan was created perfect without sin and placed in the garden of Eden to be the anointed cherub that covers. Many years could have went by, perhaps even 100, before iniquity was found in him. 1Bless Yahweh, O my soul. O Yahweh my Elohim, thou art very great; thou art clothed with honor and majesty. 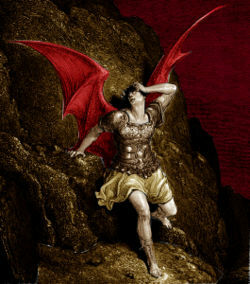 We see from Ezekiel 28 that Lucifer was created perfect and without sin when he was first placed in the Garden of Eden. Another interesting fact is that the earth is older than the sun, moon, and stars. The earth was created on the first day. The sun, moon, and stars were created on the fourth day. 1In the beginning Elohim created the heavens and the earth. 2And the earth was without form, and void; and darkness was upon the face of the deep. And the Spirit of Elohim moved upon the face of the waters. 3And Elohim said, Let there be light: and there was light. 4And Elohim saw the light, that it was good: and Elohim divided the light from the darkness. 5And Elohim called the light Day, and the darkness he called Night. And the evening and the morning were the first day. 16And Elohim made two great lights; the greater light to rule the day, and the lesser light to rule the night: he made the stars also. 18And to rule over the day and over the night, and to divide the light from the darkness: and Elohim saw that it was good. The earth was without form because Elohim had not yet separated the waters from the land. This was not done until the third day. The earth was void because Elohim had not yet created the plants on the third day, the water creatures and flying creatures on the fifth day, and the land creatures and man on the sixth day. 9And Elohim said, Let the waters under the heaven be gathered together unto one place, and let the dry land appear: and it was so. 10And Elohim called the dry land Earth; and the gathering together of the waters called he Seas: and Elohim saw that it was good. 31And Elohim saw everything that he had made, and, behold, it was very good. And the evening and the morning were the sixth day. Notice in verse 31 of Genesis 1 that Elohim saw everything that he had made and it was very good. If Satan would have already fallen, then everything that he had made would definitely not be very good. Yahweh lift up his countenance upon thee, and give thee shalom. Comet Hale-Bopp passed through the constellations of Perseus, Taurus, and Orion. Hale-Bopp passed through Orion from April 23, 1997-June 11, 1997. Hale–Bopp had its closest approach to Earth on March 22, 1997 or just before the fist day of Passover/ Unleavened Bread. Perihelion or the time when Hale-Bopp was closest to the sun was on April 1, 1997 or just after the last day of Passover/ Unleavened Bread. Just as the Exodus Comet at the time of Moses in 1483B.C.E. 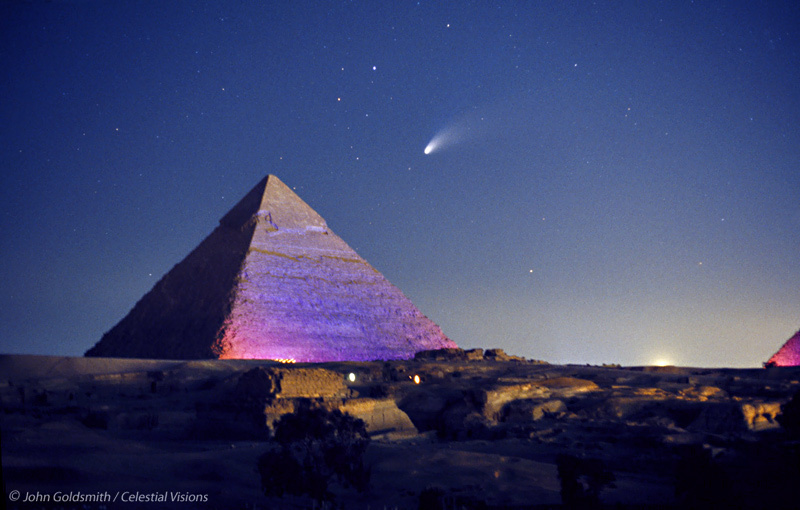 marked the last 40 years until the Israelites entered the Promised Land, so did the Comet Hale-Bopp mark the last 40 years before the True Israelites will enter the Kingdom of Yahweh. Zecharia Sitchen gave an overview of concepts presented in his books, notably The 12th Planet. Sitchen refers to the 12th Planet as the ancient Sumerians did, as Nibiru, the planet of the crossing. Sitchen also stated that the 12th Planet and Planet X were one and the same, as has been noted in his books. When asked by Art Bell on the Coast to Coast AM show what the return of Nibiru would bring, Sitchen stated that Nibiru had at “one time, brought about the deluge, the great flood, mentioned in the Bible,” and the return may be what the Bible calls “the day of the Lord” or “the second coming.” He stated that the effect on the Earth would depend on where the Earth is positioned during the passage. Sitchen declined to state when he felt the 12th Planet would return, stating “I an not a prophet.” Sitchin stressed that he called himself a “reporter,” as someone who can read ancient Sumerian texts. Hale-Bopp is on a retrograde (clockwise) orbit, as is the 12th Planet and half the comets visiting the Solar System. Hale-Bopp is in the constellation of Sagittarius, which was mentioned briefly (see below) in one of Sitchin’s book, Genesis Revisited, as a possible sighting place for the 12th Planet. Sitchen stated that in his opinion, Hale-Bopp was “not Nibiru” but was rather a “harbinger” of Nibiru. We find from the Scriptures that the Preparation Day is always the 6th day of the week. It was set aside by Yahweh for his people to prepare for the weekly Sabbath. 4Then said Yahweh unto Moses, Behold, I will rain bread from heaven for you; and the people shall go out and gather a certain rate every day, that I may prove them, whether they will walk in my law, or no. Josephus confirms that the Preparation Day was the 6th day of the week before the weekly Sabbath. Jos. Ant. 16:6:2. “Caesar Augustus, high priest and tribune of the people, ordains thus: Since the nation of the Jews hath been found grateful to the Roman people, not only at this time, but in time past also, and chiefly Hyrcanus the high priest, under my father (7) Caesar the emperor, it seemed good to me and my counselors, according to the sentence and oath of the people of Rome, that the Jews have liberty to make use of their own customs, according to the law of their forefathers, as they made use of them under Hyrcanus the high priest of the Almighty God; and that their sacred money be not touched, but be sent to Jerusalem, and that it be committed to the care of the receivers at Jerusalem; and that they be not obliged to go before any judge on the sabbath day, nor on the day of the preparation to it, after the ninth hour. Paraskeue is the Greek word for Preparation. Paraskeue was the Greek equivalent of the Aramaic of “arubta-eve,” or Friday. The days of the week before the Sabbath in Aramaic were First, Second, Third, Fourth, Fifth and Arubta; there was no “Sixth” day. Therefore, Arubta, and by inference paraskeue, must refer only to Friday! Hellenistic Jews used the term prosabbaton, or Sabbath-eve to designate Friday (Judith 8:6; 2 Macc. 8:26). Mark recorded, “it was the preparation day, that is, the day before the Sabbath,” (Mark 15:42) or paraskeue, the day of prosabbaton. Therefore, paraskeue was technically Friday! Yahshua was crucified when “it was the preparation day, and the Sabbath was about to begin. . . . And on the Sabbath they rested according to the commandment.” (Luke 23:54, 56) The Sabbath “according to the commandment” was decreed in the Ten Commandments: “Remember the sabbath day, to keep it holy. 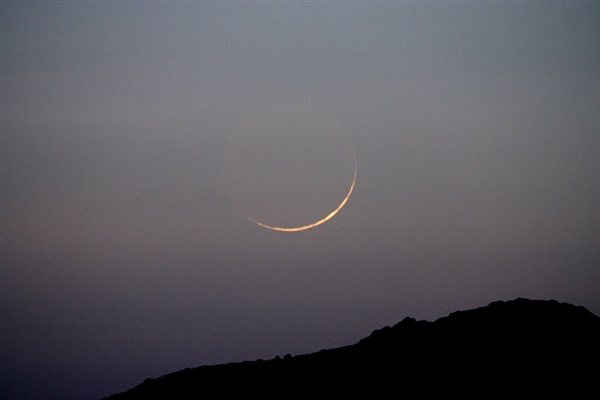 Six days you shall labor and do all your work, but the seventh day is a sabbath of Yahweh Elohim.” (Exod. 20:8-10; also Deut. 5:12-14) That Sabbath was also the commanded weekly Sabbath. The Sabbath according to the Commandment was specifically tied to the seventh day. May Yahweh bless you in your understanding. Similarly, many today feel that they share in New Year’s festivities without going overboard. Still, believers do well to examine the origin and significance of this popular celebration. Do New Year’s festivities conflict with Scripture’s teachings? As some of you may know, New Year’s festivities are not new. Ancient inscriptions indicate that they were held in Babylon as early as the third millennium B.C.E. The celebration, which was observed in mid-March, was crucial. “At that time the god Marduk decided the destiny of the country for the coming year,” says The World Book Encyclopedia. The Babylonian new year celebration lasted 11 days and included sacrifices, processions, and fertility rites. Even today, superstitious rituals play a part in New Year’s festivities. For example, in some areas of South America, many welcome the New Year while standing on their right foot. Others sound horns and set off firecrackers. According to a Czech custom, New Year’s Eve is a time for eating lentil soup, while a Slovak tradition has people placing money or fish scales under the tablecloth. Such rituals, designed to ward off ill fortune and guarantee prosperity, merely perpetuate the ancient belief that the turn of the year is a time for deciding destinies. The Scriptures admonish believers to “walk decently, not in revelries and drunken bouts.” (Romans 13:12-14; Galatians 5:19-21; 1 Peter 4:3) Paul’s reference to “revelries and drunken bouts” may have included those that took place during New Year’s festivities, since these were popular in Rome during the first century. Since New Year’s festivities are often characterized by the very excesses that the Scriptures condemn, believers do not participate in them. This does not mean that believers are killjoys. On the contrary, they know that the Scriptures repeatedly tell worshipers of the true Creator to rejoice—and that for a number of reasons. (Deuteronomy 26:10, 11; Psalm 32:11; Proverbs 5:15-19; Ecclesiastes 3:22; 11:9) The Scriptures also acknowledge that food and drink often accompany rejoicing.—Psalm 104:15; Ecclesiastes 9:7a. As we have seen, however, New Year’s celebrations are rooted in pagan customs. False worship is unclean and detestable in the eyes of Yahweh, and believers reject practices that have such origins. (Deuteronomy 18:9-12; Ezekiel 22:3, 4) The apostle Paul wrote: “What fellowship do righteousness and lawlessness have? Or what sharing does light have with darkness? Further, what harmony is there between Messiah and Belial?” For good reason, Paul added: “Quit touching the unclean thing.”—2 Corinthians 6:14-17a. Believers also realize that taking part in superstitious rituals does not guarantee happiness and prosperity—especially since participating in such festivities can result in Yahweh’s disfavor. (Ecclesiastes 9:11; Isaiah 65:11, 12) Furthermore, the Scriptures admonish believers to be moderate and self-controlled in their conduct. (1 Timothy 3:2, 11) Clearly, it would be improper for one who professes to follow Messiah’s teachings to be part of a celebration that is characterized by riotous excess. As eye-catching and appealing to the senses as New Year’s festivities may be, the Scriptures tell us to “quit touching the unclean thing” and to “cleanse ourselves of every defilement of flesh and spirit.” To those who comply, Yahweh extends the heartwarming guarantee: “I will take you in. . . . I shall be a father to you, and you will be sons and daughters to me.” (2 Corinthians 6:17b–7:1) Indeed, He promises eternal blessings and prosperity to those who are loyal to Him.—Psalm 37:18, 28; Revelation 21:3, 4, 7. The Scriptures are plain that believers should homeschool their children. Proverbs 1:8 My son, hear the instruction of thy father, and forsake not the law of thy mother. Children are to be instructed by their father so that they may know understanding. Proverbs 13:1 A wise son heareth his father’s instruction: but a scorner heareth not rebuke. Fathers are to instruct their children and children are to hear their father’s instruction. Proverbs 15:5 A fool despises his father’s instruction: but he that regardeth reproof is prudent. Children should not despise their father’s instruction, but be willing to learn with a happy heart. FYI: Public Education is one of Karl Marx’s 10 Planks of Communism. We are told to teach our children every day, especially in the torah. Deuteronomy 11:19 And ye shall teach them to your children, speaking of them when thou sittest in thine house, and when thou walkest by the way, when thou liest down, and when thou risest up. Again, we are responsible for teaching our children, especially in Yahweh’s torah. 5. 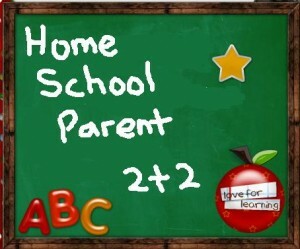 It is self-paced so you don’t have to spend half of your day teaching every concept. The word dinosaur was invented in 1841 and simply means terrible lizard. Before that time, these creatures were known as dragons. The average dinosaur was about the size of a sheep. Some of them were the size of chickens. Some of them got to be gigantic. These creatures are just different kinds of reptiles. Reptiles never stop growing for the entirety of their life. The older they get, the bigger they get. The largest dinosaur is only the size of a basketball at birth. Noah took young vibrant reptiles on the ark and not the senior citizens. People before the flood lived to be an average of about 900 years old. The reptiles also enjoyed longer lives as well, so were able to grow to be enormous. In fact, the oldest living animals today are reptiles. Some turtles live to be 200 today which is about twice that of a man. At this rate the same turtle could have lived to be 1656 years until the flood destroyed them. They would have been about 40 feet in diameter. There have been 100′s of dinosaur fossils discovered and each one is given a distinct name as if it were an entirely different kind of dinosaur. If one studies all the different dinosaur fossils discovered, then he will find that there are only about 50 different kinds of dinosaurs, so only about 100 dinosaurs were taken aboard the ark. 100 dinosaurs each about the size of a sheep would be no problem for Noah to care for. Small young dinosaurs take up less room, eat less food, and would be better fit for both the journey and for having offspring after the flood. Yahweh probably had all the animals go into hibernation during the year on the ark which would make things even easier. The majority of dinosaurs were destroyed during the flood especially the gigantic ones. After the flood dinosaurs began to multiply again, but they no longer lived as long as before the flood. The average life-span of people (and by extension reptiles) right after the flood was reduced by half from 900 to 450 years. So dinosaurs living at this time would have grown to be only half the size of dinosaurs before the flood. About 100 years after the flood the lifespans were again reduced by half from 450 down to 225 years. This was probably due to the ice age. So again the dinosaurs would be even smaller to about 25% the size of the ones before the flood. As the dinosaurs multiplied upon the earth they slowly became a menace to the people and so dragon/dinosaur hunters such as Nimrod were necessary to keep the dragon/dinosaur populations down. Hence, there are hundreds of dragon/dinosaur legends still extant until this day all around the world. Although the gigantic ones were wiped out at the flood there remained dinosaurs for thousands of years even in the 21st century there are a few still roaming the earth in some of the remotest parts of the earth. A lot of the lizards and other reptiles that are found everywhere on the earth used to live 10 times longer than they do now and would have been 10 times larger as well. When the Americas were first being discovered by Europeans there were reports of pterosaurs, 100 foot anacondas, 50 foot alligators, and others. Sea monsters were reported regularly up until the mid-1800′s with the invention of loud engines which give ample warning for any such creatures to swim away before being spotted. A plesiosaur was caught by Japanese fishermen in the 1970′s off the coast of New Zealand. The Ica and Nazca tribes of Ancient Peru lived side by side with a half dozen different kinds of dinosaurs. They recorded what they saw in very great detail on over 10,000 Ica stones, textiles, totems and Nazca lines in the desert. Also, tribes in Mexico recorded the same kinds of dinosaurs living side by side with men on their own stone carvings. Cave drawings around the world record dinsaurs with man. The ancient Babylonians raised dinosaurs as pets and for entertainment. The apocrypha records how the prophet Daniel killed one. Marco polo spent many decades in China and Mongolia and recorded how the Chinese Emperor raised dinosaurs to pull his chariots. There is overwhelming evidence of dinosaurs living with man all throughout history. Today, we still have great turtles that live to be 200 years old. 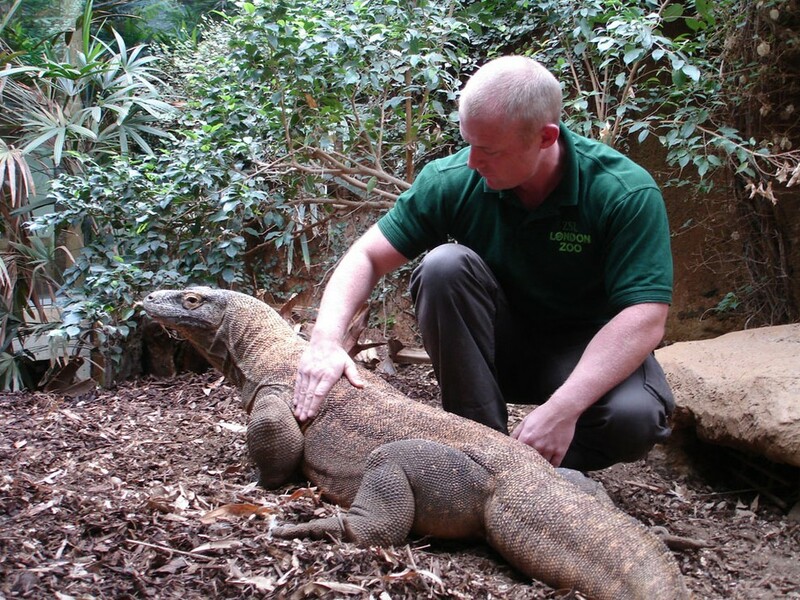 The Komodo dragons still live today, but only get to be 10 feet long which is only a small fraction of what they would have been before and right after the flood of Noah. Giant snakes and lizards are still reported today in the Congo of Africa and in the Amazon of South America. If one applies himself to diligent study, then one will find ample evidence of dinosaurs before the flood, after the flood, and still a small remnant even today. The Scriptures record that sea dinosaurs and flying dinosaurs were created on day 5. All the land dinosaurs were made on day 6. Noah took two of each kind of dinosaur on the ark for preservation. After the flood, Job recorded the two largest kinds of dinosaurs called behemoth and leviathan. Behemoth was of the sauropod kind of dinosaur which were the largest of land animals ever created. Leviathan was some kind of aquatic dinosaur. Many sea captains and Vikings reported these sea monsters over the past few centuries. There are many books, videos, and websites on this subject to further your study.